Jon Hamm is the strong center holding together the throwback thriller Beirut. Directed by Brad Anderson. Written by Tony Gilroy. Starring Jon Hamm, Rosamund Pike, Alon Aboutboul and Mohamed Zouaoui. 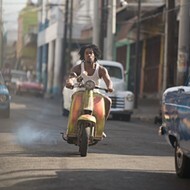 Opens Wednesday, April 11, at Landmark Plaza Frontenac Cinema. In the early '80s, before endless wars made the Middle East a semi-permanent military outpost, Beirut was a symbol of all the world's political chaos in a single location. It's the kind of location filmmakers find irresistible: a sprawling modern metropolis in post-apocalyptic decay, the sort of landscape Hieronymus Bosch would have enjoyed if he had been a city planner. Do these movies help a viewer make sense of the political factions and history behind the destruction? Probably not. The historical landscape is, more often than not, replaced by spectacle. Forget it, Jake; it's Beirut. The new film Beirut, directed by Brad Anderson from a screenplay by Tony Gilroy, has already been criticized for misreading history and reinforcing cultural stereotypes. These criticisms have been based solely on its trailer, and while I'm willing to concede some of the arguments stemming from that limited view (why wait for the whole film when you've already seen two-and-a-half minutes? ), I don't think the filmmakers are trying to lay claim to the official record. They don't even argue that the film is inspired by true events. Instead, they're reaching for a kind of political thriller ambiance, a figurative Beirut as true to its background as Casablanca was to its. 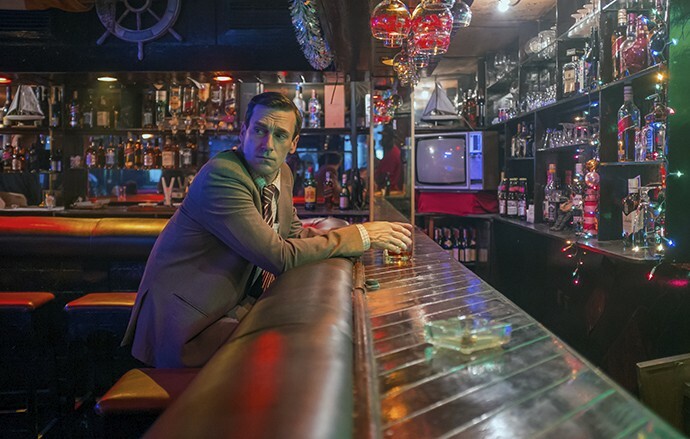 Jon Hamm plays Mason Skiles, an American diplomat in Lebanon whose wife is killed in an attack by one of the rebel factions in the early 1970s. Skiles returns to the U.S., but after a decade or so of hard drinking and working with apparent skill as an arbitrator, he is called back to Beirut. The same political group that killed his wife has kidnapped a former colleague and has requested that Skiles be brought in to negotiate a trade of hostages. Hamm stars as hard-drinking agent on a mission. 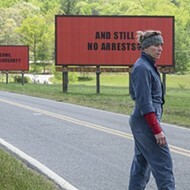 Needless to say, this is more than just a simple matter of setting up a meeting, and before long Skiles is crossing paths with the CIA (represented by Rosamund Pike), the military and a few figures from his past, many of whom seem more interested in getting in his way than in rescuing the hostage. For the first 30 minutes or so, Beirut veers close to the pitfalls that have sunk many an international adventure in the past: unclear motivation covered by a mask of bureaucratic jargon and an aggressive musical score that threatens to drown out the dialogue. Gradually, the film settles down and lets Hamm take command over a refreshingly old-fashioned kind of action movie, one with unexpected narrative turns and a straightforward hero rather than endless explosions, comic-book psychopaths and one-liners. 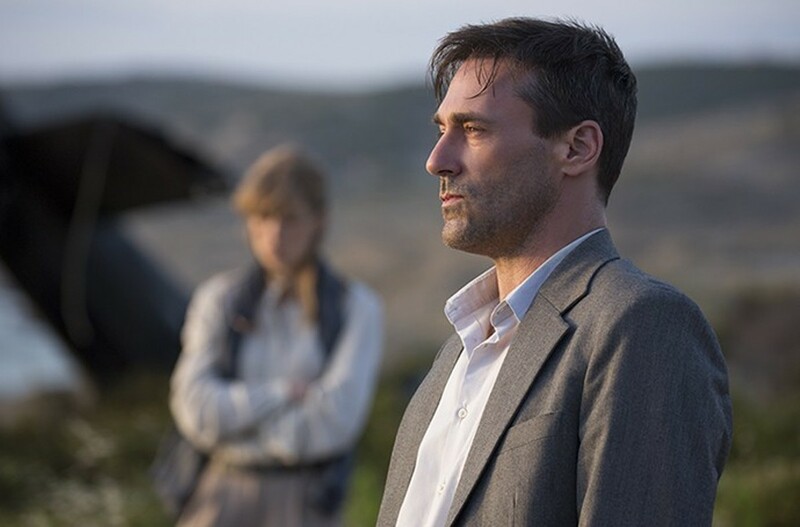 From left, Rosamund Pike, Jon Hamm and Dean Norris work to recover a kidnap victim in Beirut. Much of the interest comes from the nervous intrigue created by Tony Gilroy's script. In the past, I've found Gilroy's work (which includes much of the Bourne series and the paper-tiger legal drama Michael Clayton) workmanlike but not particularly entertaining. 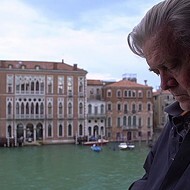 He likes the mechanics of espionage, the chess-like maneuverings of rivals in power, but in his enthusiasm, he can get a little high-handed and self-righteous. Here, with no moral preferences for any of the parties, he concentrates on the intrigue and on Skiles' efforts to keep ahead of an unpredictable set of obstacles. It's a tight script that stays focused on the skill of the hero rather than an ideological goal. Beirut is the kind of film that rests on an understated competence — a well-crafted script, modest but well-focused direction and a talented cast — but it's held together by a strong center in the form of Hamm. His Skiles is both beleaguered by forces beyond his control and self-aware enough to know not to get caught by them. I've been indifferent to Hamm in the past (I've never seen Mad Men), but in his last few film roles, he's grown comfortably into a modest yet self-assured leading man. 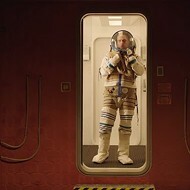 He's not a bloodless action hero or an attention-grabbing bundle of self-conscious acting tics; he's at ease with the character he plays and in turn, makes Skiles react naturally to events in the film. Beirut is a reassuringly old-fashioned kind of action movie, guided by a reassuringly old-fashioned kind of movie star.